ACTcoach is the business name of a coach who works in the field of acceptance and commitment therapy (ACT). The hexaflex is a visualization of the 6 processes used during the therapy. 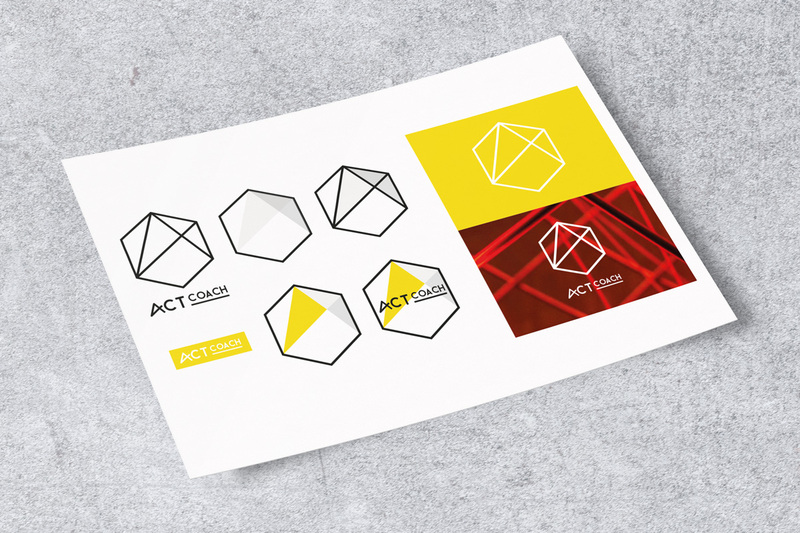 For the logo, I used the shape of the hexaflex as a basis to create the letter A (of ACTonit) and to make a link with the therapy. The newly created A-shape is also repeated in the name. To make the distinction between the therapy name and to emphasize the coaching, both parts of the brand name are visualized differently.